What IS The Hello Dolly Wordpress Plugin About? If you’ve ever installed a WordPress plugin, you’ve seen ‘Hello Dolly’! What the heck is it doing there? Just what does it do? And more to the point, why does it sometimes insist on installing itself again every time you upgrade WordPress. The Hello Dolly plugin has been included with WordPress since the very early days. And it’s still included even now in the latest version. It serves no real useful purpose, and was perhaps originally included to demonstate how plugins work. What Does Hello Dolly Do? If you ever bothered to Activate the plugin, you would find that all it does is put a random lyric from the song ‘Hello, Dolly’ (popularised by Louis Armstrong) at the top of every page of the WordPress admin area. Does Anyone Actually Use The Plugin? Incredibly, a lot of people do use it. It has active installs of over 1 million! Although I suspect that’s because most people have no idea what it does, and if they can safely deactivate and/or delete it. You can of course safely deactivate it, and delete it too if you want (I know I do). The only difference it will make to your blog is the absence of song quotes in the admin area. Because that is literally all it does. It is just a little bit irritating however that even if you delete it that it can reappear every time you upgrade WordPress. (NOTE: this no longer seems to happen – although it may still happen for certain hosts/script updating apps e.g. Fantastico – if it still happens for you let me know below who you host with and how you update WordPress). 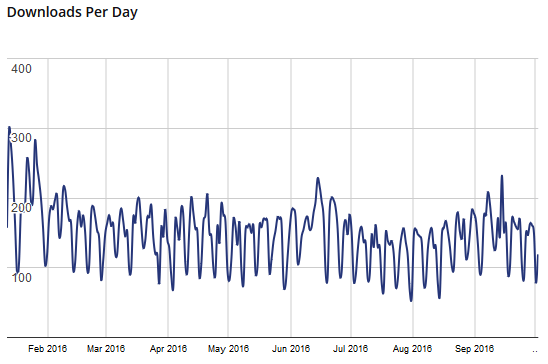 The amusing, yet bizarre, thing is that despite it being included with every version of WordPress ever… if you check the current direct download stats at WordPress.org, it still gets downloaded hundreds of times every single day. About 1,000 WordPress users per week actually download the Hello Dolly plugin. Over 600,325 to date. Did these people delete it, and then immediately feel a great lyrical void in their lives? Were they hoping for an upgraded version with improved functionality? Enhanced lyrics, audio, maybe a trumpet solo. WP-Cache Error & WordPress Login Error? Thank you! I thought I was just nuts and didn’t get it. This is one of the most useless, ridiculous wastes of time and space I’ve ever seen in the world of websites. At least now I know it strikes others the same way. Phew! Sanity regained! LOL! That’s the reason I landed on this page. I want to know who Dolly is and why this Hello Dolly, not Kermit the muppet show, Shaun the sheep or something else? I only know about Dolly Parton and Gang Dolly in Surabaya (the largest prostitution area in South East Asia). I, for one, after reading what it actually does find the Hello Dolly WordPress Plugin totally cool — but that’s just me :)! I’ll look forward to hearing it for myself when I finally get my own blog set up. I think I activated it once a few years ago but yeah… not exactly giving my website the bang for buck I like from my plugins so I ditched it. Maybe Matt just likes to give us a little extra freebie so we will go ahead and pay for our Akismet useage 🙂 Happy blogging peeps!! I delete it always. But now, I’m just going to install it. Just wondering what else could an innocent plugin do than to sing to me a nice line every time I open the admin panel? Is it really worth deleting, you busy guys? I consider the Hello Dolly plugin a good exercise in beginning to learn how to make a plugin of your own. I wish there was a series of progressively more involved plugins for me to look through. The WordPress Codex has a lot of info on developing plugins too. And of course you can dig through any plugin to see how it works – if you choose something that you already use it’ll make more sense when you look at the source. First, “Hello, Dolly!” is by Michael Stewart, not Louis Armstrong who covered it. Second, many programmers will recognize it as a variation on “Hello, World” – the traditional first example of a program in a new language or framework. It is a simple example of a plug-in, and as such it was invaluable to me.